Without any docs, and considering the block has been decked, I'm guessing this has to be a built car, and I'm not even sure if the colors are original. 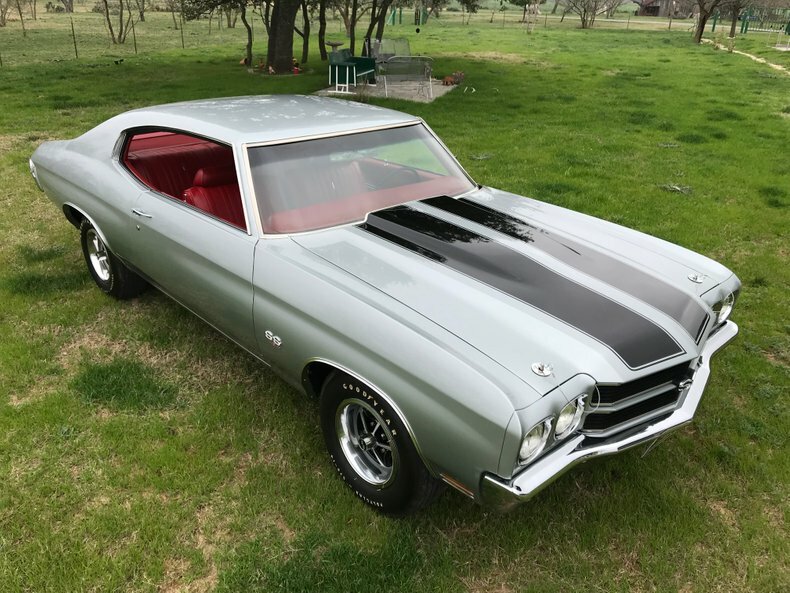 I decided to post this one anyway because everyone ought to be reminded of how amazing this color combo looks on a '70 Super Sport Chevelle. Nice color combo,but needs a lot of corrections. 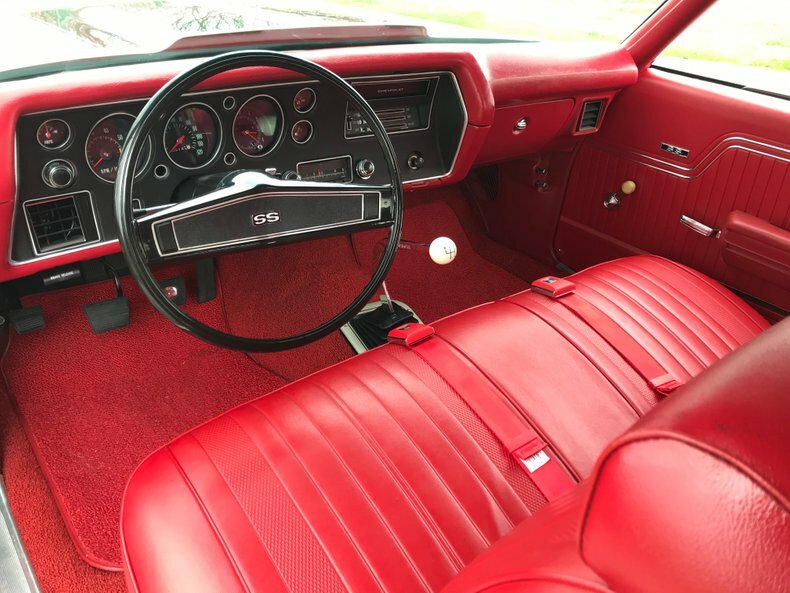 Most notable,the Deluxe Red seat belts should have brushed metal buckles.Look like snake oyl reproductions. Thermostat housing should be silver too. Black shifter handle is correct. Wish they showed the cowl tag. Last edited by Mr70; 02-12-2019 at 02:44 PM. Last edited by olredalert; 02-13-2019 at 12:10 AM. Pretty car but too many wrongs also zero facts to substantiate such claims. Cortez Silver with red interior is one of my favourite combinations. I don’t recall ever seeing a Shadow Grey ‘70 Chevelle with red guts? I think that might look good. There was one on e-bay for sale .